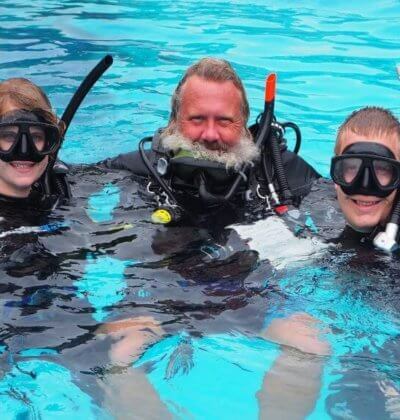 If you are not a certified/licensed diver please go to this link. Day trip price is listed at the base rate. This DOES NOT include equipment hire cost of your scuba gear. The typical itinerary for this trip would be (weather and time dependant). Please note that this is just a sample itinerary & time’s and dive site’s may vary. Our instructors will get you to the best possible sites on the day based on conditions. In the high season months between October and May we will be running to Racha Noi four times a week. 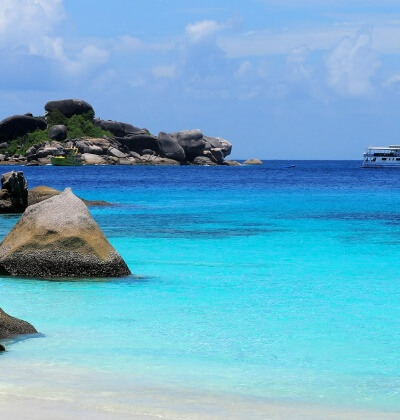 Racha Noi is about another 40 minutes south of Racha Yai Island and one of the best places in the region to see the giant oceanic manta rays. Our three dive day usually consists of two dives at Racha Noi and one dive at Racha Yai whilst returning to Phuket. She often has the best visibility in the day trip area and can some time exceed 30 metres plus. 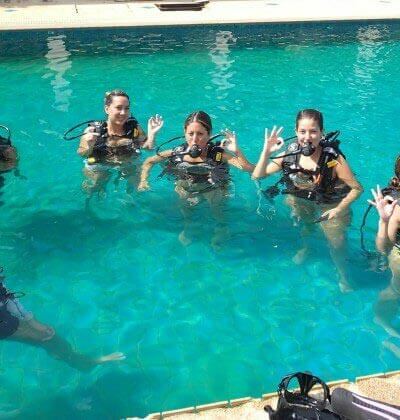 It is an a beautiful experience scuba diving in such clear waters. Racha Noi did however suffered heavily from the coral bleaching in 2010, she is improving faster than the sister island Racha Yai. Your best chance to see a manta ray then diving between the winter months January and April. We will do our best to dive South Tip which is believed to be the favourite of the mantas however. South Tip however is for experienced advanced certified divers given her depth and strong currents. 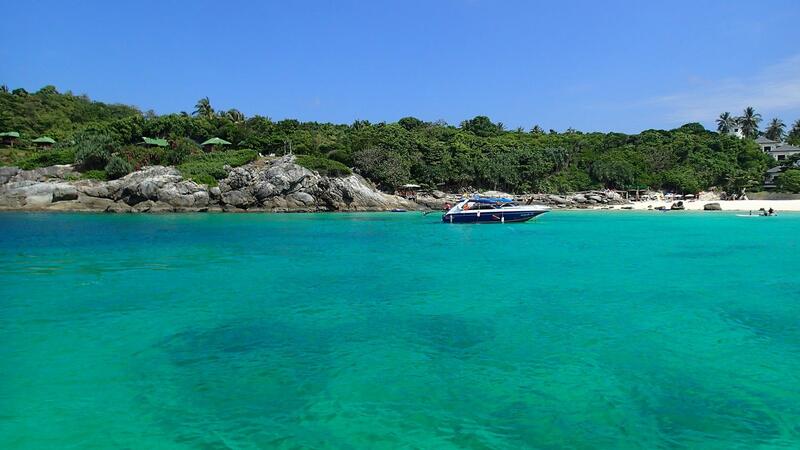 Being the closest dive site to Phuket Island, Racha Yai is a very popular dive site. Usually this will be done as the last dive of the day and she will be a short Only 30 minutes return trip to Chalong Bay. She provides a range of marine life that is popular for both beginner and novice divers. The calm, clear waters at both of these islands are ideal for divers that are looking for an easy day out particularly those that have been out of the water for a while. There are a few small wrecks around the island. The most popular of these is the Harruby wreck situated the centre on the first bay on the eastern side of the island. She provides entreatment to all levels of divers and snorkelers. Please note that she can sometimes be crowed with divers particularly during the peak periods. Racha Yai was hit hard by the coral bleaching in 2010. Racha Yai has struggle to return to her former glory. Some blame the sheer numbers of dive, snorkelling, day trip and fishing boats that frequent there each day. The best and improving corals are now in the shallow water. Amazingly though, during 2017 she provided on a few occasions sightings of whale sharks. She is also no stranger to manta rays however they are a rare occurrence. The eastern side of the island delivers most of the dive sites where it is the best place to get away from the monsoonal waves and during the summer wet months May to November. Good visibility that usually averages around the 20 metre mark . ** Transfers are free from the following areas Patong, Kamala, Kalim, Kata, Karon and Chalong. All other areas will incur a transfer surcharge. *** All boats provide breakfast and lunch, snacks and drinks with the only extras being soft drinks and beer on the way home.